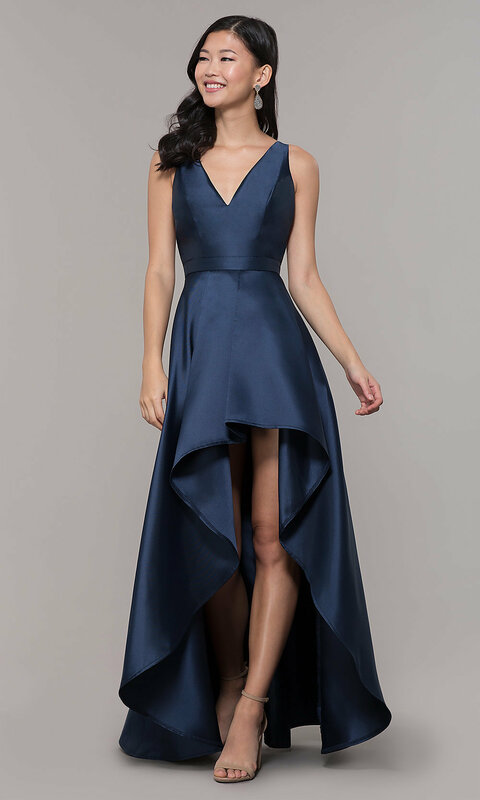 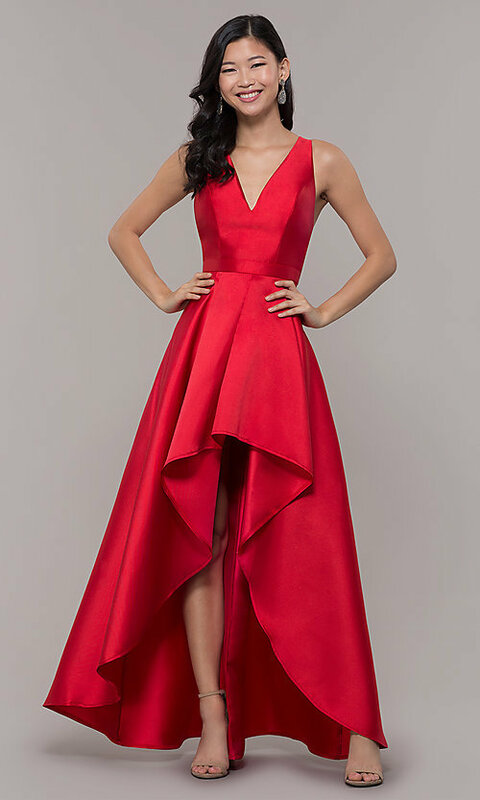 Under $150, this high-low satin prom dress by PromGirl is a trendy and affordable choice for proms, galas, and winter formals. 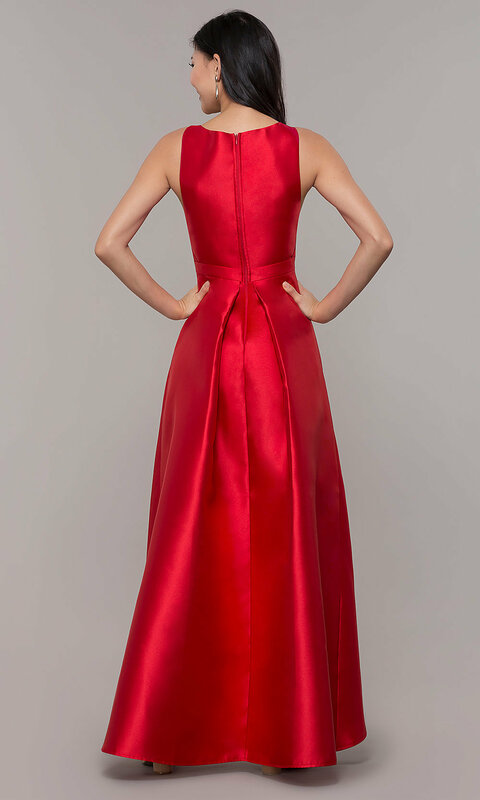 Gleaming satin gives the fun high-low dress a luxurious look that complements the red-carpet-ready style. 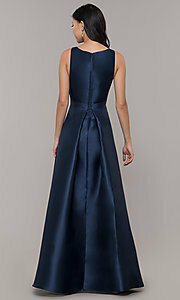 The shining sleeveless bodice skims the body down to the natural waist and features a tasteful v-neckline. 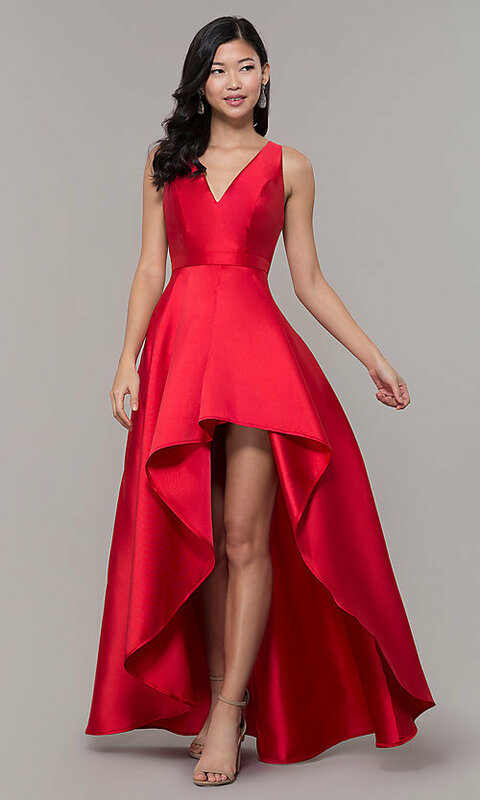 The snug fit of the bodice works wonders with the flared high-low skirt to emphasize the silhouette and finish this satin prom dress in an impressive fashion.